The environment of a deployed combat hospital brings many challenges such as artillery fire, heat, sand, dust, cold, and frequent power outages. 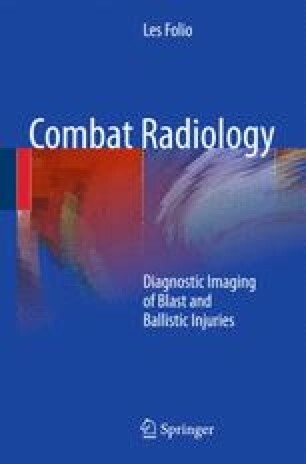 This chapter will provide an overview of deployment preparation and battlefield challenges the military radiologist needs to know. In addition, the concepts and cases presented here should provide baseline knowledge for mass casualty/disaster preparation for any radiologist where there is an emergency room. Deploying flight surgeon medication list. http://rad.usuhs.mil/rad/handouts/folio/SME_Drug_List_Sept2004.xls Accessed August 15, 2009. Readiness skills verification webpage; uniformed services university. http://rad.usuhs.mil/project44R3/index.html Accessed August 12, 2009.